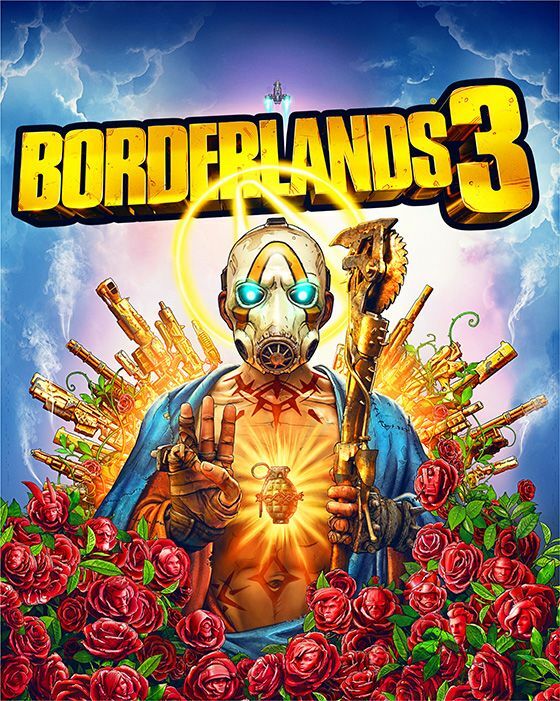 Following a 30-minute pre-show, the first Borderlands 3 gameplay will be streamed at borderlands.com and on the Borderlands Twitch channel starting at 10am PDT / 1pm EDT / 6pm BST on May 1, 1am GMT+8 / 3am AEST on May 2. There have been many interesting Borderlands 3 theories—some of them with decent accuracy ratings—have been floated following frame-by-frame dissections of gameplay trailers over the past couple weeks. A number of you have even set about cracking some hidden codes… But you haven’t found them all yet. Borderlands released this image as a hint; maybe give it another look. Click for larger image. Tweeted by @Borderlands: Higher resolution image here. Look closely — there’s more than meets the eye. Gearbox will be answering some of the questions out there and lots more during the Borderlands 3 Worldwide Gameplay Reveal event on May 1. The event will feature the first ever showing of Borderlands 3 gameplay, as well as commentary from the Gearbox development team on everything from the new Vault Hunters and their respective skills to interplanetary travel and sweet, sweet loot. Shortly after the Gearbox presentation, you’ll be able to watch literally hundreds of your favorite live streamers playing and sharing their impressions of Borderlands 3 for the first time. Whether you’re a longtime Borderlands fan or a newcomer to the franchise, this first look at what’s coming September 13 is a must-see. Click here and scroll to the bottom of the page to sign up for the Borderlands newsletter and receive a reminder email ahead of the event. If you would like to support me, use creator tag KYBER3000 when purchasing Borderlands 3 on the Epic Games Store (How does it help support: Creators get around 5% of what the game cost when supporters use their code at Epic Games Store checkout). Thank you for your support! Jump headfirst into all things Borderlands to unlock unique content, in-game rewards, and more! Click here to learn what this program is.